With our new R19L300-MRA2MT, Winmate extends the border once again by offering a multi-touch display that combines high quality, projective capacitive touch and excellence performance of 19” Marine Bridge System Display. This 19” marine sunlight readable displays and high-quality marine hardware products allow boaters to zoom in/out and skew displayed images with the use of two fingers even in the strongest sunlight. The Anti-Reflective (AR) coatings on the protection glass have excellent performance in though ambient light conditions such as open-sea area. Optional AR coated protection glass can increase contrast by enhancing light transmission rate over 95% and can effectively diminish the minor images, it can soften the image of direct light source visible in the reflection of the viewing area. With Winmate seamless multi-touch technology for the ultimate in convenience as well as full fingertip control navigation functionality, users can feel pleasant experience when using it. 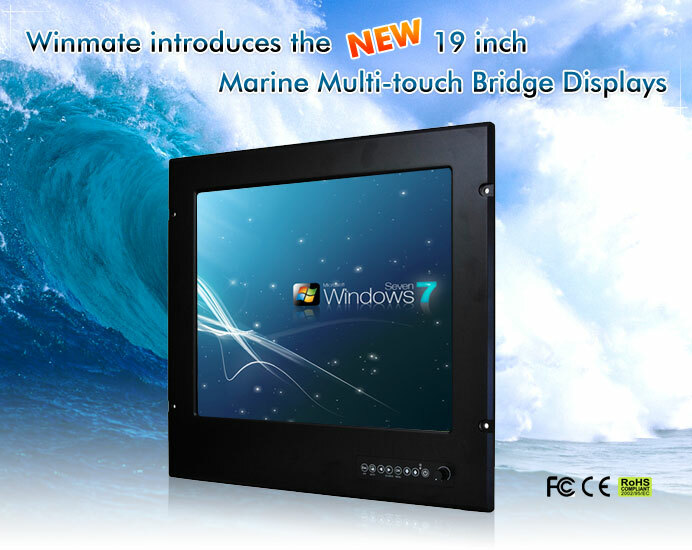 Compatible with Windows 7 operating system, equipped with user-friendly interface and innovative multi-touch functionality, Winmate Dual Touch Marine Displays offer the most dynamic, convenient and enjoyable navigation control options on the market. 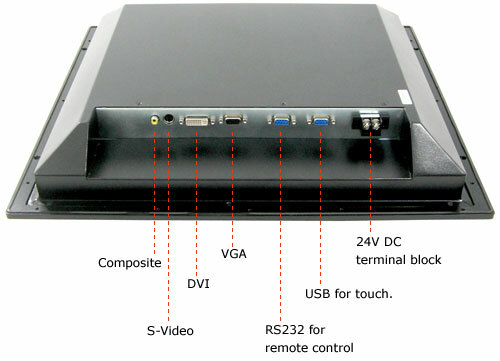 Accepting multiple inputs including composite, S-Video, DVI, and VGA will lift-up this product to the next level. Additional features include a wide backlighting range that can be dimmed to complete black for night viewing, advanced three-stage Picture in Picture (PIP) capabilities for display flexibility and a 24 VDC voltage input range. The PIP (Picture in Picture) function allows user(s) to open another window with different content on the display screen. In doing so, users can work on different tasks at the same time. For added control options, the displays are compatible with RS-232 remotes that can be mounted near the display or hidden in cabinet space. 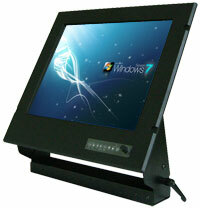 The most important ruggedness requirement for display is shock that can occur as vibration. As a result Winmate did configure the 19” Marine Bridge System Display to be able to pass 5 Hz~ 500 Hz / 1Grms / 3 Axis for vibration test and 15G, 11 ms pulse duration for shock test. Overall construction of this 19” display is inherently rugged with IP 65 aluminum housing with powder coating design which means it can handle water spray from all directions.